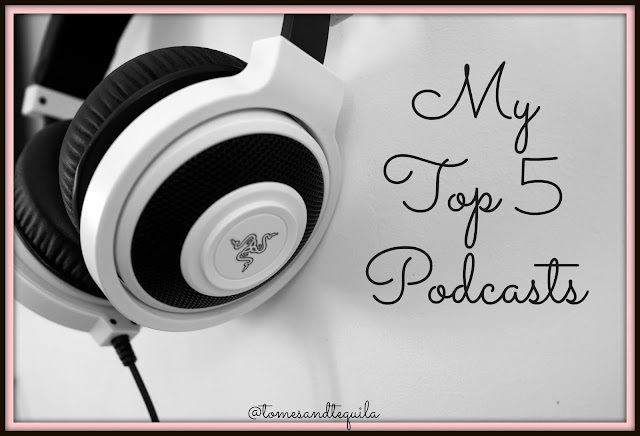 So, I thought I would introduce y'all to a few of my favorite Podcasts. I usually listen on the free Podcast Addict app on my phone but I know there are numerous apps out there at your disposal to listen on...including Itunes. I subscribe to my favorites so that I don't miss out on any of the good stuff! For this list I will probably stick with ones that are of the "nonfiction" variety, but I have friends who really enjoy the classic radio serial type...I am just not as familiar with those. As I have mentioned repeatedly on the blog, but mainly over here, I am a big fan of Gretchen Rubin. I have read and enjoyed all of her books, and I'm a regular devotee of her Podcasts. 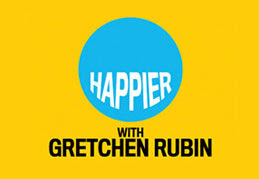 Happier With Gretchen Rubin is the happiness and habits-centric podcast that Rubin does with her sister, TV writer and producer Elizabeth Craft. In it they discuss numerous hints, tips and information relevant to increasing your happiness and developing new habits in relation to your personality type. I normally come away from each podcast of hers that I listen to with at least one tangible piece of applicable info, be it a new step to add into my routine or a website I want to check out, etc...and that is no small feat. I can't sing it's praises enough...and this is the Podcast I have been listening to the longest. 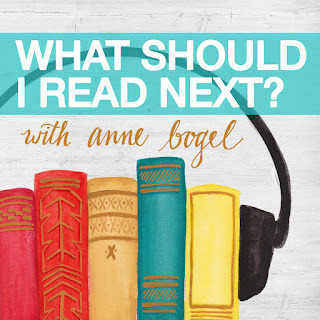 Okay, maybe I shouldn't be sharing this one with you, but I feel like you can never get too many book recommendations...which is why I like the Podcast What Should I Read Next by Anne Bogel, otherwise known as Blogger Modern Mrs. Darcy. 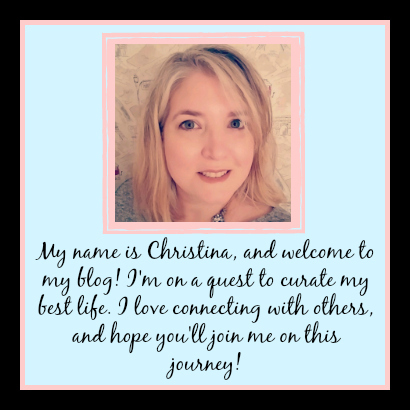 Her Blog is what I aspire to one day. On her Podcast she interviews a different person on what books they love, what books they hate and what books they are currently reading. This lady really knows her literature, and I always find a new, or old, gem to add to my enormous To Read list! As I mentioned over here, I really liked Jonathan Fields book How to Live a Good Life. After I read the book, I not only started listening to the Podcasts, but I also joined the Facebook Page...and it is one of the most positive and feel good areas of the Internet I've ever found. 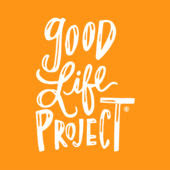 The Good Life Project Podcasts cover all sorts of things that were touched on in his book, along with other things that might help you to lead a better life. I may be being slightly vague, but that's only because he covers so many different topics and has interviews with so many interesting people. Seriously...the positivity surrounding this guy is fairly epic. Okay, I'm fairly new to this Podcast, but I fell in love fast and hard after listening to an episode dedicated to being skeptical of who to trust when it came to self-help gurus. Straight and Curly is a Podcast put together by Carly Jacobs and Kelly Exeter, who claim to be obsessive self-improvement junkies just like me. Every week they discuss some sort of improvement hack or theme, and their take on it...from fitness trackers to the theory that "outer order equals inner calm". I would honestly listen just for their accents, but I mainly love just how down to earth and practical all of their tips and discussions are. These ladies are just like the rest of us, and I have quickly put their episodes on heavy rotation and am playing catch-up! This last Podcast I haven't listened to quite as much as the others, but I'm excited to get to know better...and I think that MY readers will really enjoy, especially the mommies out there. Vibrant Happy Women with Jen Riday is a by women for women guide to staying positive and taking care of yourself, so that you can be there for the other people in your life. A lot of women, especially mothers, are great at doing everything for others while putting themselves on the back burner...and this Podcast is dedicated to helping you find a better balance. That can only lead to good things! So, do you know of any Podcasts you think I should be listening to regularly?? Are you already listening to any of these? Let me know in the comments here or over on my Facebook page!